There’s a couple of new TV spots for Star Wars: The Last Jedi, one of which showing Finn waking up after his encounter with Kylo Ren in The Force Awakens. Check them out below. Poor old Finn has been through a lot. Firstly, he did something which we’ve never seen done before by leaving The First Order and joining the Resistance in Star Wars: The Force Awakens. Secondly, he had to infiltrate the base he left in order to help the Resistance in their battle against Supreme Leader Snoke’s First Order. Finally, he bravely fought Kylo Ren, who has been trained in the ways of the Force and has been shown how to wield a lightsaber. Finn does well all things considered but ends up with a huge gash in his back and very close to death’s door. 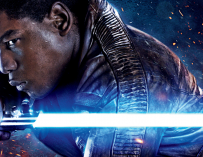 Yet, Finn hasn’t stopped his heroic tendencies in Star Wars: The Last Jedi. 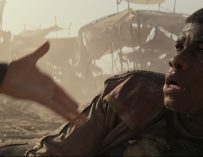 According to a new TV spot of Rian Johnson’s The Last Jedi, the very first thing that Finn asks once he wakes up is, “Where’s Rey?” He’s a true hero, through and through, and it looks like he’s only going to become even more heroic in The Last Jedi. 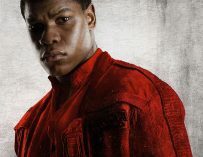 It looks like John Boyega will have a huge amount to do in this movie and that his character’s story arc may very well be one of the most interesting in the film. We already know that he’ll have to reinflate The New Order’s new base (surely by now they’ll have ‘WANTED DEAD OR ALIVE‘ posters up of Finn). He’ll do this with Star Wars newbie, Kelly Marie Tran, who plays Rose Tico. There are rumours that there might be something romantic between the two characters, but I do hope that this doesn’t end up being the case. I’m still holding hope for Poe and Finn to get together. 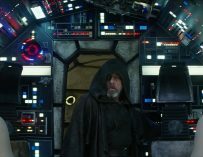 There’s also another Star Wars: The Last Jedi TV spot in which Poe shouts the iconic Star Wars line: “Punch it,” made famous by Harrison Ford’s Han Solo in the original saga. Star Wars: The Last Jedi will be hitting UK cinemas on December 14th. Have you bought your tickets yet?